Last week I was in charge of my two grandchildren, ages 4 and 5, while their parents were out of town. Besides the rigorous routine of getting them up every morning and successfully to school and back, I had the most interesting experience of asking the age-old question: “What did you learn at school today?” What is most interesting to me however, is that both grand-daughter and -son designated science lessons as the most memorable. Although science gets a bad rap most of the time, the truth is that when science is taught in a hands-on and inquiry-based approach, these lessons become the most exciting element of the day. When children take on the role of scientist, experimenter, and inventor, they become the expert and feel confident. Afterschool programs are a rapidly growing national strategy to boost STEM achievement and expose underrepresented students to STEM careers. 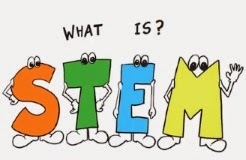 The afterschool and informal science fields are finding that the inclusion of high quality STEM learning experiences such as investigating, reasoning, analyzing, concluding, and explaining can be regularly integrated in afterschool learning content in ways that contribute to a youth’s school and career success. Because of the fact that many youth participating in afterschool programs are traditionally underrepresented in STEM fields, these programs hold great promise for increasing the amount of interdisciplinary hands-on, inquiry-based learning that leads to college readiness and the possibility of STEM careers. It is important to note that because of afterschool’s ongoing STEM strategy and the number of organizations dedicated to the effort, this field has valuable lessons to share. For example, drawing from program evaluations conducted by Donner and Wang (2013)1, the following recommendations for building effective STEM afterschool programs could well advise in-school STEM strategy as well. Recommendations for success mentioned in their recent article, “Shifting Expectations,” include: 1) Emphasis on a co-inquiry and ‘facilitated’ approach to teaching and learning, 2) Appropriate and high quality curriculum, 3) Ongoing, outcomes-based professional development, 4) Sustained, consistent and intense student participation (more than one hour per week), and 5) Partnerships with similar entities (all hands on deck approach) that can help support and extend the effort. Through innovative afterschool programs, the momentum for enhancing STEM learning is growing. Although some of the same barriers for building engaging STEM experiences exist in the regular classrooms today, it is exciting to see the afterschool and informal science field take responsibility for delivering hands-on and memorable science experiences, as well as collecting evidence of what is working. As for my grandchildren, at the end of the day they confidently reported on the origin of sea shells and rain forest habitat. Science CAN BE memorable.